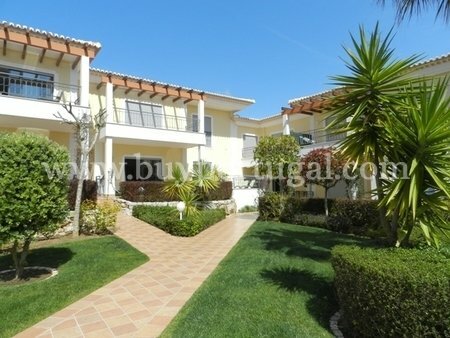 Spacious 2 bedroom apartment ideally located in a quiet residential area in the sought after location of Porto Do Mos, Lagos, with communal swimming pool in an exclusive private condominium, close to the beach and all amenities. This attractive ground floor property is very tastefully furnished and decorated and is well presented. The bright and airy, accommodation comprises, open plan lounge, modern fitted kitchen, dining area, 2 bathrooms and two terraces, the master bedroom having direct access to one and the other terrace opens out onto the patio and pool area. The property benefits from many features including Jacuzzi, electric shutters, storage, fitted wardrobes, air conditioning and pre-installation for central vacuum. It is set in well kept landscaped communal areas inviting pool terraces, underground parking area, built in barbecue and has video entry.